I am so excited to share this news!!!! This has been on my vision board since I first signed up as a coach and found out that it was even something that existed! 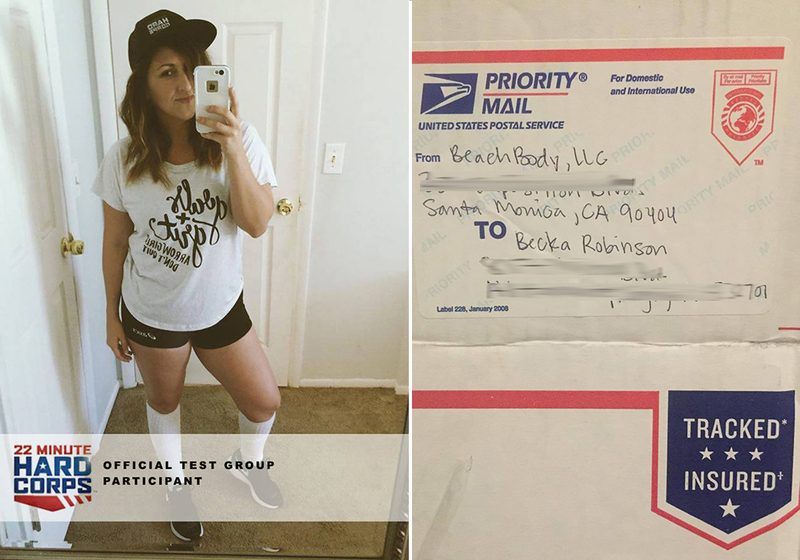 I'm not sure if you know, but Beachbody, the company famous for programs like P90X, Insanity, T25, Piyo, the 21 Day Fix, and more runs "test groups" for programs that are completed but not yet launched and they invite COACHES from the network (like me!) to be in a very exclusive, private Test Group where we get to work with the people who created the program and test it out! Our experience and results help corporate to get ready to launch the program and the success stories from our group are used during the launch and even in the infomercial and marketing for the program! So anyways... one night I get a text from one of the big guys at corporate that says, "Did you get an email?!" And I half panic, half get excited because I have no idea what it might be about. After checking my email I can't find anything. The next day... still nothing. I start to wonder if he meant to text someone else. Finally after a day or so of seeing nothing in my inbox I messaged him back. AND.... 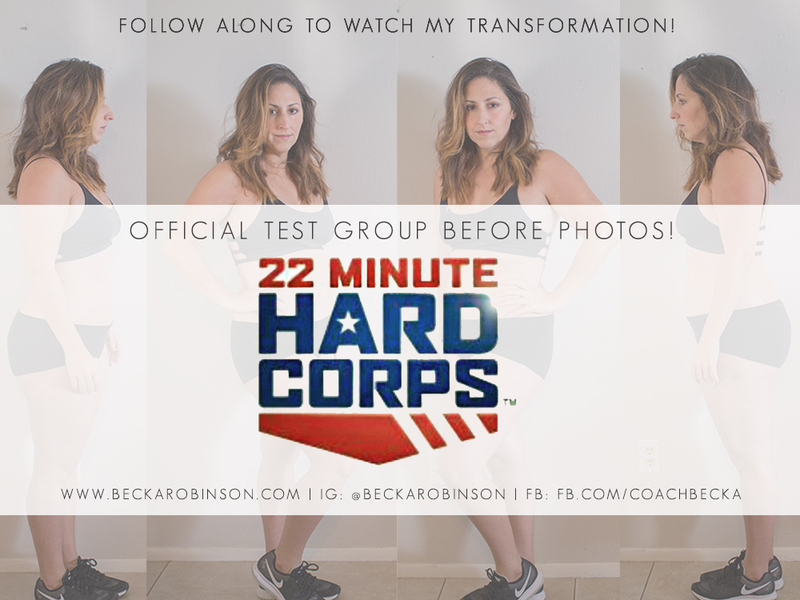 They were inviting me into the Corporate Test Group for 22 Minute Hard Corps!!!! AHHHHH!!!! I've been wanting to participate in a test group so badly and I got picked for a program I was soooo excited about! Ever since they sneak peeked the program to us coaches I've been so excited for it! Short workout programs are my JAM! I started with T25 back in 2013 and there's something magical about knowing that your workout is less than 30 minutes long that helps you find the motivation to get up and get it done each day. I don't even love to work out but short workouts help me to do what it takes to be successful in my health and fitness! Thank heavens! In case you're wondering what a test group is like... basically you get invited into this super secret group. You have to sign a bunch of NDA's because it's super important to keep things secret until launch time! Since we are the first people to get to do the program (other than the people who are actually IN the workout DVD's... ha!) we have to track everything! We got an entire folder's worth of instructions for how to chronicle our journey and experience so that we can use it to help others see how incredible this program is and inspire them to give it their all when it launches in March! Here's a photo of my SPECIAL DELIVERY! It was literally on my doorstop 2 days after I sent in my signed papers! Beachbody doesn't mess around! Everything in it is top secret so I can't show you photos but I can show you this selfie with my hat that they sent us! I'm allowed to take photos of the hat. HAHAHA! 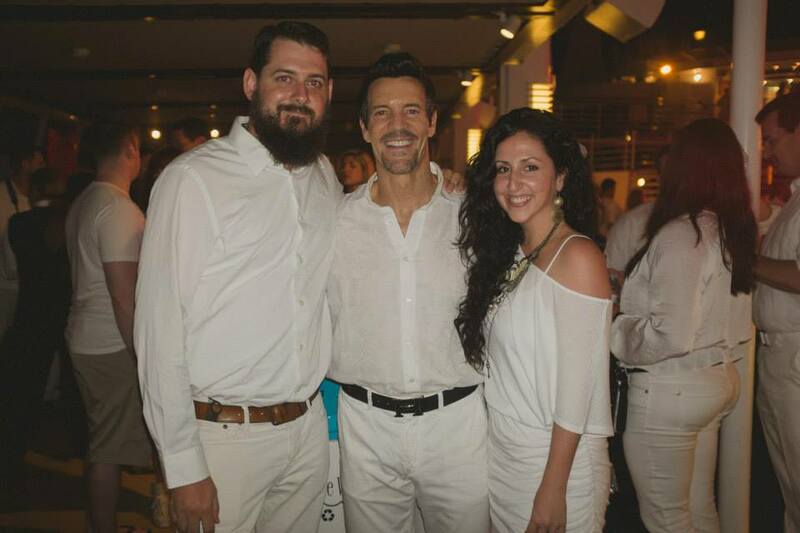 It was a "White Night" themed party, I promise we don't just go around twinning with Tony all the time. 2. It perfectly aligns with my word for the year: UNLEASHED! This program is modeled after military bootcamp training. With fits in oh so serendipitously with my WARRIOR vibe goals for the year! I'm ready to stop playing small, stop being so gentle, stop holding back and UNLEASH myself! 3. If there's anyone I trust to fit the most bang into a 22 minute buck it's Tony Horton! He's the master. I mean, P90X is arguably the most challenging and results producing and best selling program of all time. He's the master, I'm the clay. MOLD ME TONY! I'm 2 days in right now. And so far, I'm LOVING IT! At the top of this blog post are my official BEFORE photos. They were slightly mortifying because they had to be so specific. So many angles. So much of a reminder of how I'd let myself slip over the holiday season and the areas I need to work on. I could not be MORE EXCITED to commit 110% to a program than I am to this one! 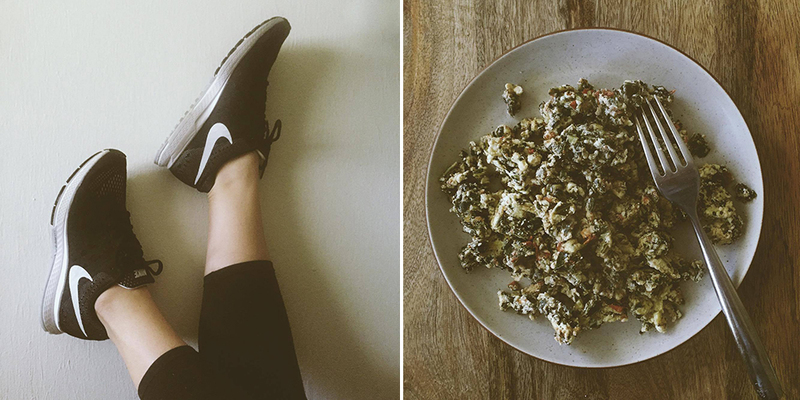 So each week here on the blog I'll share a little journal of my week so far! I hope you'll follow along! My goals for the next two months are to lose 20 pounds, get in a routine with my healthy eating, get the definition in my abs back and slim down all over! Keep checking in to see how I do! I'm also sharing daily sneak peeks on my Instagram and Facebook page!